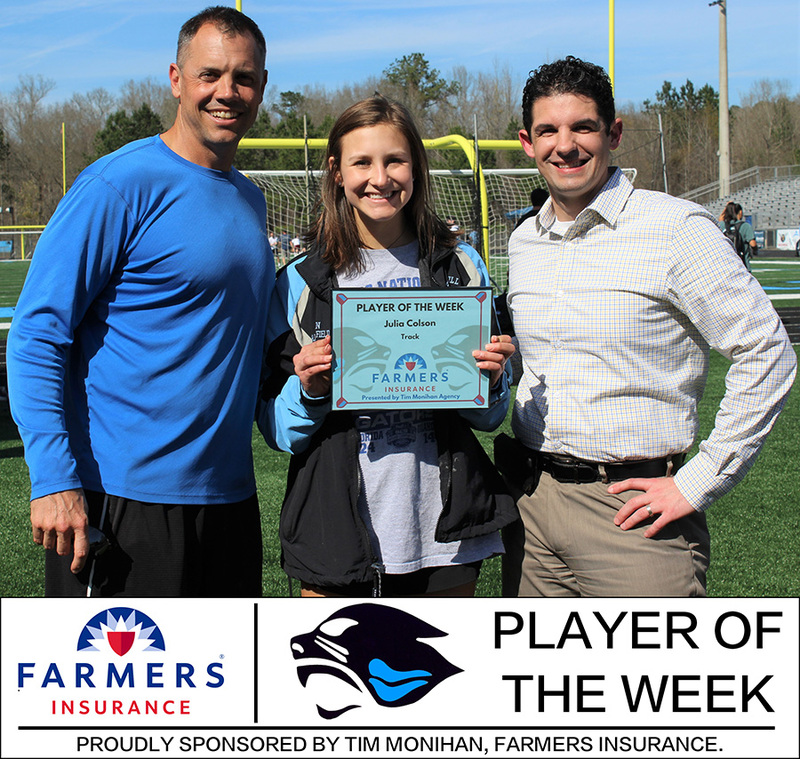 Tim Monihan and Farmers Insurance have named junior pole vaulter Julia Colson the fourth Player of the Week for the spring sports season. This year alone, Colson has increased her PR by a foot, currently sitting at 11 feet, 0 inches. She also runs the 100-meter dash, setting a PR of 14.27 seconds, and occasionally runs the 4×100 relay. Colson is also relatively new to the sport, quitting gymnastics in 8th grade and joining the Starr’s Mill track and field team the next year. The Starr’s Mill track and field team will be in action on March 29 at 4:30 p.m. during the Friday Night Lights meet in Panther Stadium.